My husband is obsessed with Kenji Alt Lopez and Serious Eats. He mostly only cooks on weekends when we host our extended family at our house, but that means a lot of serious cooking on Sundays and normally for 12+ people. For New Year's Eve, we did a noodle potluck and while I was imagining an easy rice noodle stir fry, he was already browsing the Serious Eats website for something good. He came across this recipe for Danzai noodles, but it also required two cups of lu rou or Taiwanese meat sauce. We had most of the stuff, so we went about our normal Sunday routine, and go ready to get the veggies and spices all ready by 3 PM... and that's when we realized, our Taiwanese meat sauce recipe calls for 3-4 hours of cooking! Shoot! What were we to do? I had this brilliant idea to use our Instant Pot, my favorite new kitchen gadget, but without any internet help, we knew it was going to be a bit of a gamble. Turns out it was a worthwhile investment, but we probably don't need to double our recipe again (meat sauce for daysssss guys). Hubs said we need to jot down the recipe asap so we don't forget. What a lifesaver the Instant Pot was today! Turn Instant Pot to saute mode. Line a plate with triple layer of paper towels. Heat oil to 325 F over medium high heat and add shallots, stir and cook until pale golden for 1-2 minutes. Transfer to plate with triple layer of towels. Reserve 1 tablespoon oil for Instant Pot. When shallots are cool, lightly crush and set aside. Use reserved tablespoon of shallot oil to cook ground pork in the Instant Pot until cooked through and beginning to brown. Add the 2 teaspoons of minced garlic and crushed shallots, cook until fragrant, about 1 minute more. Add 1 teaspoon of five spice powder, 2 teaspoons of sugar, and stir. Add 1/2 cup dark and 1/2 cup of light soy sauce, 1 cup of Chinese rice cooking wine, and mix it all up. Manually cook for 13 minutes and natural release for 10 minutes. Then release all the way, and meat is ready!! Ever since I moved away from southern California, I have been craving the soft, fluffy, and not too sweet taste of traditional Chinese cake, the kind you get from their bakeries. Growing up, it wasn't anything too special, we had it all the time for every single birthday or other important celebration, in fact I wanted that super sweet frosting from American store cake more, but now that I'm older, I am LONGING for that cake, add to it that I can't get it anywhere for the same cheap price and convenience as in So Cal, and I am constantly craving it. 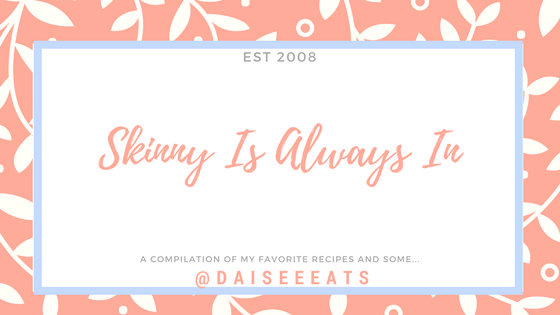 I've definitely tried cooking a lot more Chinese food since moving to Salt Lake, so now that I've found the perfect Chinese cake recipe, I am copying it right here so I don't forget it and have it always! I got this from Nancy's blog here and the whipping cream from here but for my own ease of use, I am retyping it below for myself. 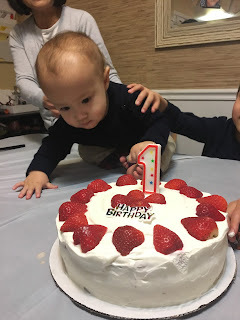 I tried making a Chinese cake for Cooper's first birthday and it was SO good, I am not exaggerating, it was light and fluffy and all my kids wanted more. I gave 1/4 to a neighbor and her daughters and her both loved it so much, they asked me for the recipe so they could make more to gobble! Yolk Mixture: In the first bowl, beat the 6 egg yolks with 2/3 cups of sugar until pale yellow (~1 minute). Over the egg yolks, sift together 1 1/2 cups of cake flour with 1/2 tsp of baking power on low until it all come together, then stop and add 1/3 cup of water, 1/3 cup of vegetable oil, and 1 tsp of vanilla extract. Mix until no lumps, paste like consistency. Meringue Mix: In a second bowl, whip the room temperature egg whites until slightly foamy, add in the 1/2 tsp of cream of tartar. Mix on high for about 3 minutes, decrease the speed to low and gradually add in 1/3 cup of sugar while mixing. Increase speed to high for another 30 seconds until sugar is in stiff peaks appear. Gently add the meringue mixture into the yolk mixture in thirds with a wooden spatula until it's all one color. I use the french macaron J method of making a J in the mixture and then circling a few times to gently mix it. Bake for 19 minutes or until a toothpick comes out with a bit of crumb or clean and tops are golden. Cool for 10 minutes before using a knife to cute the sides and turn upside down onto a cooling rack lined with parchment paper. The magic to Chinese cakes is that the frosting is never too sweet, this is because most of the time it's more of a whipped cream consistency. My oldest son who dislikes any type of buttercream (it's gross mom, can I have French macarons without the middle frosting please?) loves this frosting because it's sweet, but not too sweet. I'm just happy there's a cake I can make for him to enjoy now too! Freeze a bowl and metal whisk attachment for about 30 minutes. This is a trick Nancy put on her blog because it whips up better with super cold equipment. I don't own a Kitchen Aid or a Bosch so I just use my handheld mixer. Pour the heavy whipping cream into the frozen bowl and mix on low, gradually add powdered sugar and vanilla extract, whisk until soft peaks form, it will look like whipped cream! To get even smoother cream, press into a colander using plastic wrap (I did not do this).